Meet the "lunatics" behind HIGH MOON! 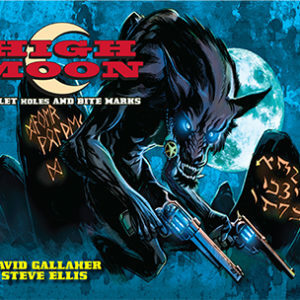 Author DAVID GALLAHER has received multiple Harvey Award nominations for his work on THE ONLY LIVING BOY and has won The Best Online Comic Award for his work on High Moon for DC Comics. 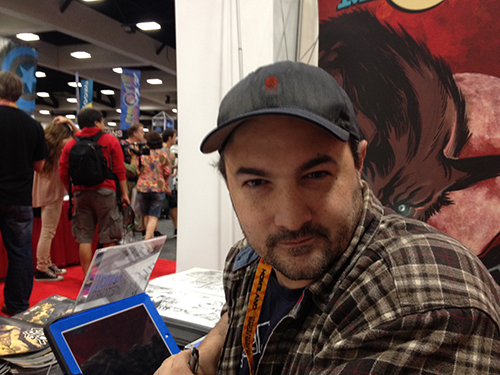 David was an early pioneer of digital comics developing projects for Marvel as well as Box 13 – the first comic designed specifically for the iPhone – for ComiXology. He has served as a consultant for Random House, The NYPD, and McGraw-Hill. STEVE ELLIS has worn many hats working as an illustrator, author, art director and concept designer. 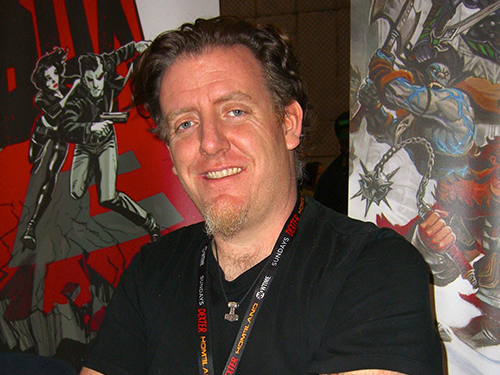 Over his varied career he has created artwork and conceived projects for companies such as Wizards of the Coast, Random House, Impact books, Marvel Comics, DC Comics, AMC, Scholastic Books, Impact books, Rogue Entertainment, Blizzard Entertainment and many others. Recently he has developed the award winning comic series High Moon for DC Comics as well as acted as the lead designer, storyboard artist and illustrator on AMC’s Breaking Bad: The Cost of Doing Business and The Walking Dead: Dead Reckoning games. More Graphic Novels from Gallaher and Ellis! Find More Cool Graphic Novels in the Super Genius Store!